California Republican backs President-elect Trump over his controversial telephone call with the leader of Taiwan. President-elect Donald Trump’s telephone call with Taiwan sends a strong signal to the Chinese communist regime, said Rep. Dana Rohrabacher, a candidate for Secretary of State in the Trump administration. On Dec. 3, Trump said he answered a phone call from Taiwan president Tsai Ing-wen, who “offered her congratulations.” The call lasted 10 minutes. Trump is believed to be the first president or president-elect to speak to a Taiwanese leader since 1979 when the United States broke off diplomatic ties with the island territory and instead recognized the People’s Republic of China. “I think it was a terrific message to them that we’re no longer going to be pushovers, and there’s going to be consequences for their hostile and aggressive actions,” Rohrabacher, a 69-year-old California Republican told Fox News on Dec. 5. Trump’s critics argue that his Taiwan call has introduced uncertainty in U.S.-China relations and U.S. foreign policy, and some even presume “incompetence” on Trump’s part. But people familiar with Trump’s strategy say that the president-elect was fully aware of U.S. relations with China and Taiwan, and had planned the call for some weeks, according to the Washington Post. Rohrabacher, a supporter of Trump during the election, is a longtime critic of the Chinese regime and its human rights violations. He called for a boycott of the 2008 Beijing Olympics unless the regime ended its human rights abuses, and co-sponsored four separate House resolutions condemning the organ harvesting of prisoners of conscience in China. On Nov. 25, Rohrabacher announced on Twitter that he is in consideration by the Trump administration for Secretary of State. On Dec. 3, the Washington Examiner described Rohrabacher as “the dark horse” who is “emerging from the back of the pack” from the list of candidates, and that Republican diplomat John Bolton could be his deputy, citing inside sources. 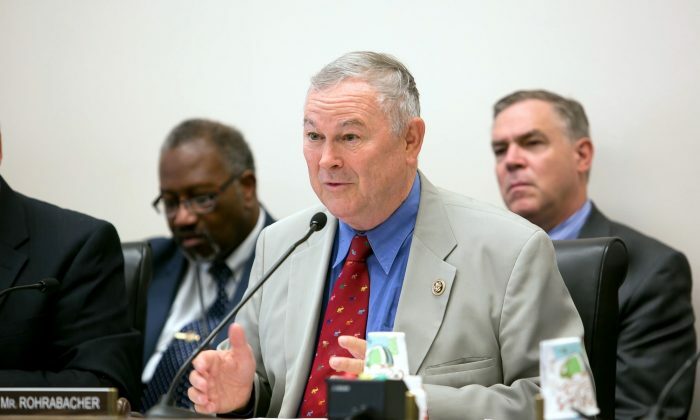 Rohrabacher said in a recent television interview that he will strictly regulate the organ trade between the United States and China if he becomes Secretary of State. “One of the first things you can bet that I will be doing in terms of China, is to make sure we cut off any trade in organs that in any way could have been taken from prisoners or people involuntarily in China,” Rohrabacher told New Tang Dynasty Television (NTD), a New York-based Chinese language broadcaster, on Nov. 28. NTD is part of the Epoch Media Group.